WITH Oriol Riera drawing a line under his short and not-so-sweet tenure in England, Wigan Athletic have been moving to make Liam Ridgewell their first January capture. Riera was in Spain yesterday to undergo a medical and put the finishing touches to a loan move to Deportivo La Coruna. The striker has scored only one goal during his six months with Latics - a left-foot strike against rock-bottom Blackpool in August - and jumped at the chance to return to his homeland until the end of the season. “A new challenge for me at Deportivo Coruna,” tweeted Riera. As Riera said his goodbyes, Latics were closing in on the capture of the vastly-experienced Ridgewell to bolster their backline. The 30-year-old joined Portland Timbers in the MLS last summer after being released by Premier League outfit West Brom. Ridgewell, who played for Birmingham and Aston Villa before joining the Baggies in 2012, made his debut for the Timbers in July and was selected for the MLS All-Star game against Bayern Munich the following month. The new MLS campaign gets underway on March 6, leaving a two-month window for Ridgewell to hopefully play his part in dragging Latics away from the lower reaches of the Championship. Ridgewell has previous with Latics, having scored for Birmingham in a 2-1 defeat at the DW in March 2011, when Maynor Figueroa’s last-gasp goal helped set-up another ‘Great Escape’. The previous season, Ridgwell had been fortunate to escape a red card following a challenge on James McCarthy that angered then-boss Roberto Martinez. But it’s that bite in the tackle, not to mention experience of a relegation dogfight, that will hopefully help Latics shore up at the back, with only one clean sheet having been recorded in eight matches under Malky Mackay. 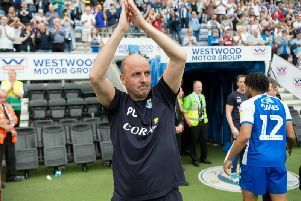 The Latics chief revealed at the weekend he hoped to make a couple of new signings this week, and will now be switching his sights to the other end of the field having sanctioned the departure of Riera. Joining Riera in the departure lounge was Ali Al Habsi, who has jetted out to Australia with the rest of the Oman squad ahead of the Asia Cup. The 33-year-old made only his second start of the season at Bolton last weekend, but will now be unavailable for much of January - much to the frustration of Mackay, who admitted the No.1 jersey is up for grabs. Oman kick-off their campaign against South Korea on Saturday, before clashes against Australia next Tuesday and Kuwait on Saturday week. Assuming Oman make their excuses after the group stage, Al Habsi would be back in time for the visit of Huddersfield Town on January 24. The worst-case scenario would see the Oman skipper sidelined until February 7 and the visit of table-toppers Bournemouth.